There are a few things that are classic decor staples for me. Things I hope never get discontinued. Things that can be used in pretty much any room. One of them is the IKEA EKBY shelves. They are great in so many spaces. I also love how sturdy they are. I've had some bad experiences with cheapo floating shelves in the past and feel like these are so much more stable. I feel like I can put pretty much anything on them and be ok with it. I used them in my downstairs bathroom and spray painted the brackets gold. It made such a difference! And I just used them recently in my mom's bathroom makeover (more to come on that soon!) It's hard to accessorize a bathroom. You don't necessarily want to load the countertops with stuff because that's not very functional, but it's nice to have some visual interest. 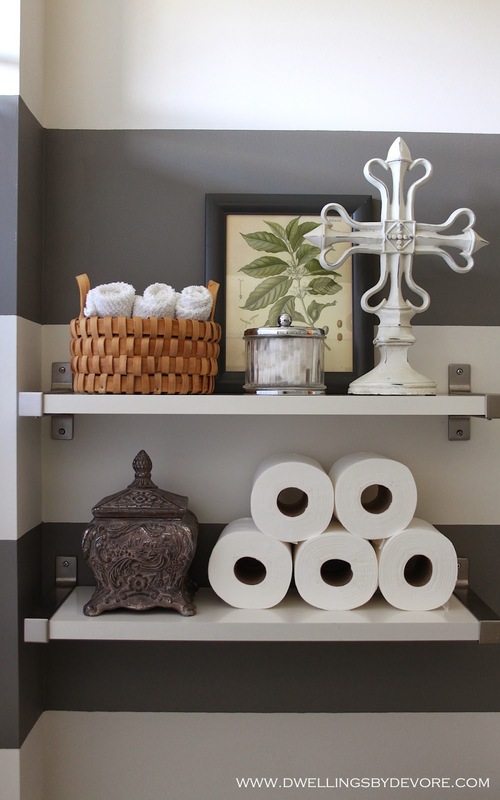 These shelves were the perfect solution to fill the space above the toilet. I rounded up some accessories she already had to stage them. Do you have any decor staples that you couldn't live without? I definitely have staples too and a lot of them come from IKEA. I couldn't live without the Billy bookcases! I have always loved your Ekby hack with those gold brackets! I love these too but have yet to find a spot for them in my home! Love the gold one Bethany - super expensive looking! Agreed! We have the Ekby in our kitchen & it's a total workhouse when it comes to shelves. I LOVE how you painted your brackets gold! My decor staple is the beveled metal Threshold pic frame from Target--I have at least one in every room. Can't wait to see your mom's bathroom makeover! Love them in gold so much! Love this & the idea to paint the brackets! I'm thinking this would be a great solution for some extra storage in my bathroom. With some gorgeous copper brackets! i love these, too- have one in our guest bath and plan to add them in our master! :) we had them in our old house bathroom, too! so clean and pretty! For me it's the Ikea Ribba frames. 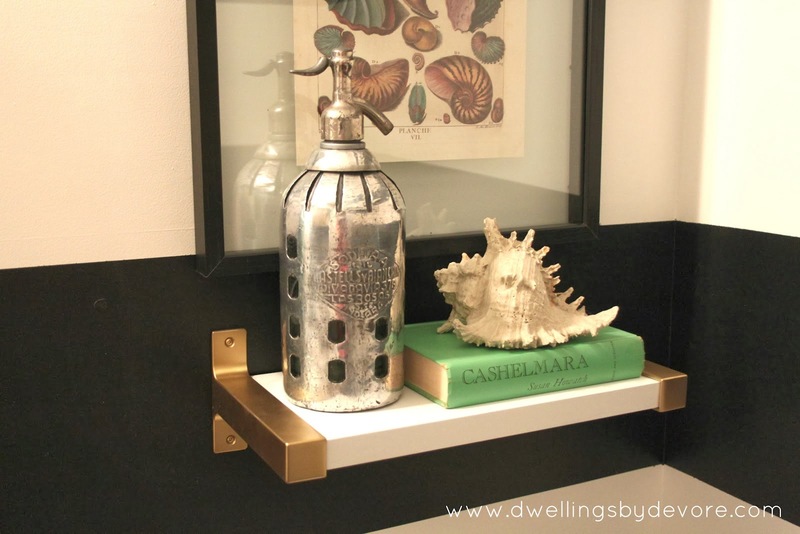 I've never tried these shelves- I've been thinking of some open shelving in our powder room so I may have to give these a try! Funny - I just bought two of these yesterday! They are great!